Today the NDP will learn if their federal leader will get a seat in the House of Commons after months of delay — while the other parties are looking for results that will be clues to potential successes in October's general election. Besides that critical race in B.C. 's Burnaby South for Jagmeet Singh, there are two other byelections being held in the Ontario riding of York-Simcoe and Outremont in Quebec. 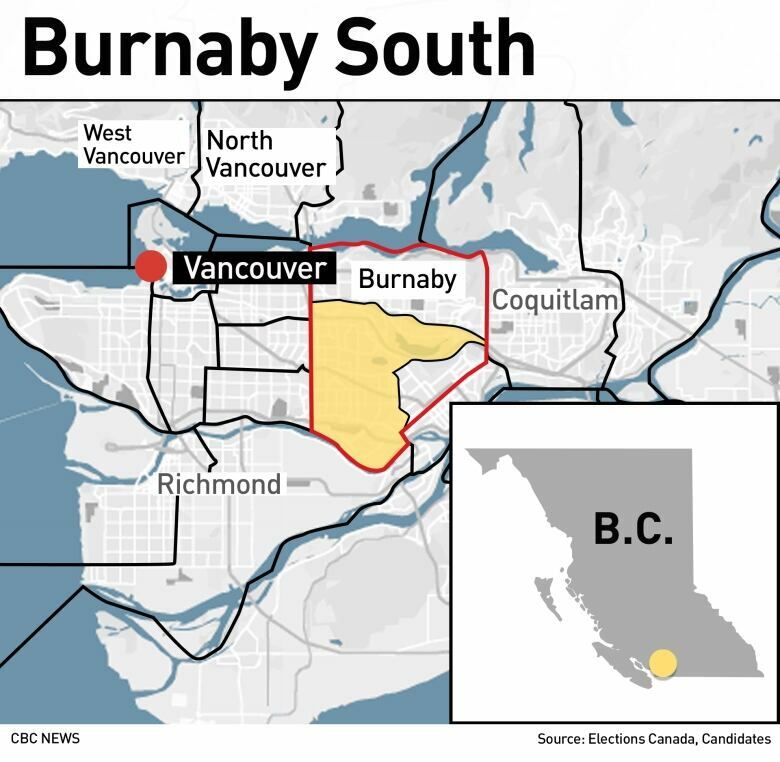 Burnaby South is one place where all three major parties have been competitive in past elections. The NDP held onto the seat by a hair more than one per cent of the votes in 2015. The Liberals, who usually put up a strong showing in Burnaby, faced challenges in this campaign. Their first candidate, Karen Wang, resigned after pointing out Singh's ethnicity online. In recent weeks, Prime Minister Justin Trudeau has been besieged by allegations his office pressured former attorney general Jody Wilson-Raybould to intervene in a criminal prosecution of SNC-Lavalin. Singh said he's not taking anything for granted, but he's confident his hard work to connect with voters will pay off. He's up against Richard Lee (Liberal), Jay Shin (Conservative) and Laura Lynn Thompson (People's Party). 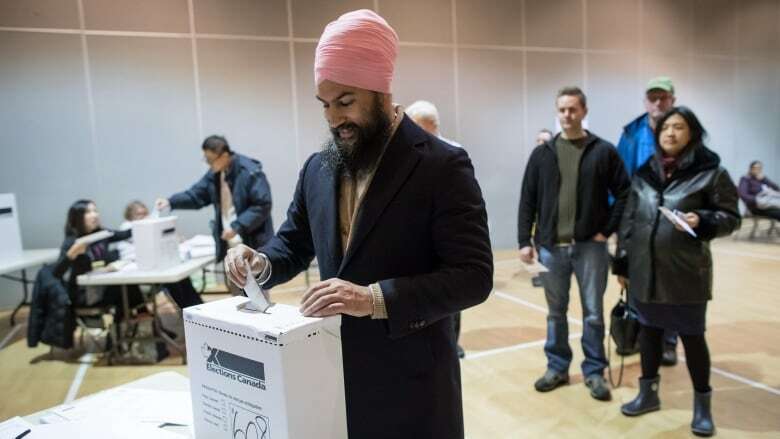 Singh has been without a seat since he was chosen as leader of the NDP in October 2017. The B.C. riding has been the focus of the party's heaviest campaigning efforts since Singh announced he would run for that seat in August. Expectations are Singh will take the win in this byelection. But the NDP is also squaring off against the Liberals in another race — to defend former leader Tom Mulcair's seat in the downtown Montreal riding of Outremont. The provincial polls suggest that the Liberals should win the riding easily. The NDP's support in Quebec has been fading, and the riding was a Liberal stronghold before Mulcair seized it in a 2007 byelection, the first-ever win in the province for the NDP and one that helped set the stage for the Orange Wave that swept the province in 2011. Countrywide, that Orange Wave is now little more than a ripple. The NDP has been dropping in the polls and now sits at just 14 per cent in the CBC Poll Tracker — a result which, if replicated on election night in October, would be the worst result for the party in nearly 20 years. Singh also presents unique challenges in Quebec ridings. Julia Sanchez, the NDP's candidate in Monday's Outremont byelection, told The Canadian Press people in the riding talk to her about climate change, wealth inequality — and sometimes what the leader of her party wears on his head. NDP Leader Jagmeet Singh is Sikh and wears a turban, making him conspicuously religious in the eyes of a heavily secular province. His French is also weaker than the two previous party leaders, complicating the job of appealing to Quebec voters. Even in multicultural Outremont, located in the geographic centre of the island of Montreal with one of the largest ultra-Orthodox Jewish communities in North America, Singh's religious clothing is on some voters' minds. "Some people are concerned about [the turban]," Sanchez said during a recent interview following a candidate debate in the riding. She said when she knocks on doors, "It's definitely not the main thing people bring up .... It does come up." Sanchez is running against Liberal candidate Rachel Bendayan, Conservative Jasmine Louras, Bloc candidate Michel Duchesne, PPC candidate James Seale and Green party deputy leader Daniel Green. 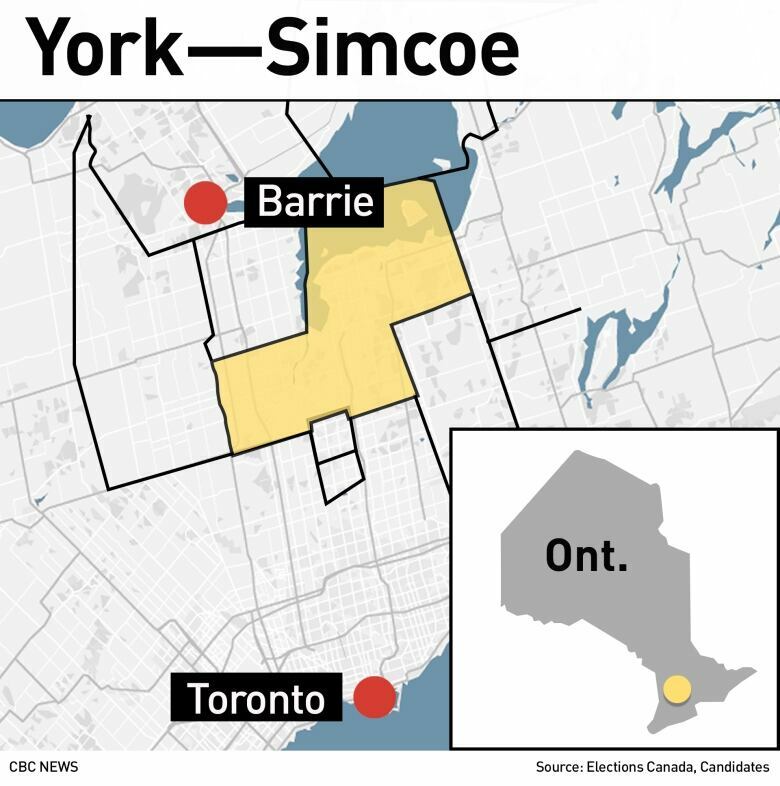 York-Simcoe is almost certainly a safe Conservative seat. The Tories won it by 45 points in 2011 and still held it by 12 points in 2015 when Stephen Harper was defeated. Tory candidate Scot Davidson told CBC News on Saturday he's confident the affluent riding will stay blue. Federal leader Andrew Scheer also said that the current SNC-Lavalin controversy embroiling the Liberals will only sway more voters to Davidson's camp. The seat has been vacant since Sept. 30, when former Conservative MP Peter Van Loan retired from politics. NDP candidate Jessa McLean and Liberal Shaun Tanaka are hoping to upset the predictions. However, PPC candidate Robert Geurts could bleed some votes away from the Conservatives in this riding. 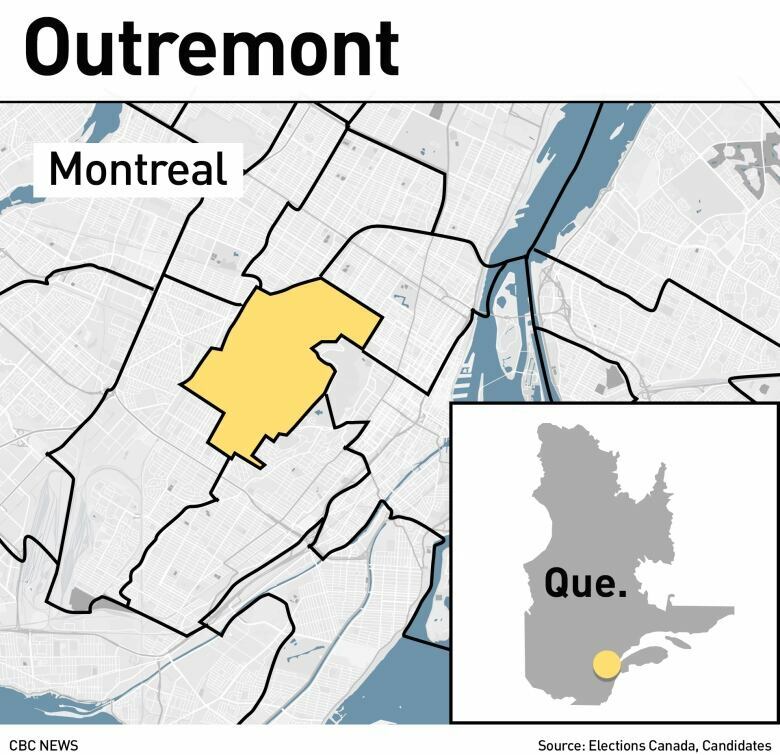 An earlier version of this story said incorrectly that Tom Mulcair took the Outremont riding from the Liberals during the NDP's Orange Wave of 2011. In fact, Mulcair first won the seat in a 2007 byelection and was re-elected in 2008 before winning again in 2011 and 2015.